So here we are at September's end. It's been 1 year since I quit my proper grown up job to dedicate more time to blogging and writing. Incidentally it's also been 6 months since I quit the part time job I took to help me do this, but we'll gloss over that as it turned out to be a 'careful what you wish for' type scenario. In that time I've worked with some lovely people and been lucky enough to receive several products to review which I am so grateful for, no needing bucket loads of macaroons over here! It's not always been easy, sometimes I worry I'm putting feminism back a century by basically being a bit of a 1950's housewife, minus the cleaning of course! But blogging has given me more friends than I ever dreamed I could make in a year. It also ignited a love of photography I didn't know I had, so currently at least, I'm sure it was the right move to make. I've always loved this time of year, even more so since it became the month when I got hitched (8 yrs ago - f*ck I'm old!) So today's post is simply a bit of an indulgent 'I'm happy where I am thank you very much/You're all supersmashinggreat people and I can't wait to see what happens in year 2' dealio. The images are not really anything to do with this post, they are just an ode to Cambridge as I find my home city a real inspiration. One of the perks of having your own blog is you can add whatever you want to it, even if the only person it makes sense to is you! PS Talking of reviews Not A Jewellery Box and Umberto Giannini #CurlFriends ones are coming soon. I’ll never understand people that holiday in the same place again and again. I’m not talking about people that are working hard to provide for a family and can’t afford to leave the country for a vacation. Or those that explore their own homeland, interested in finding out all they can about the place in which they were born. No I'm thinking of those that have the finances and inclination to travel abroad, but then only ever go to one destination. Marbella can be lovely but is it really all you want to see of the world around you? I'm sure Dubai is hella’ fun as well at times - if you like searing heat and designer gear. However, unless you have family in these places to enrich your experience, are you honestly saying that all the other cultures of the world are not worth exploring? This is not a judgement as your time is your own. You can take a week off and do nowt but sit in front of the TV sucking down a bucket of cheeseburgers if that’s your desire. In my experience though, the more tolerable and interesting people I meet have been outside their own environment. They've seen things they may not have understood, experienced different terrains. Sure, at times they may have had the odd uncomfortable encounter if they haven’t bothered to learn the native language but that hasn't left them with anything worse than a funny story to tell*. I believe it’s meeting those from other cultures that mean we can debunk the myths and stereotypes that only seem to breed ignorance. With all the supposed 'facts' about refugees and the like that have been appearing recently, isn't it worth finding out for yourself what residents from other countries are truly like? Plus you could get to see this sort of scenery…. 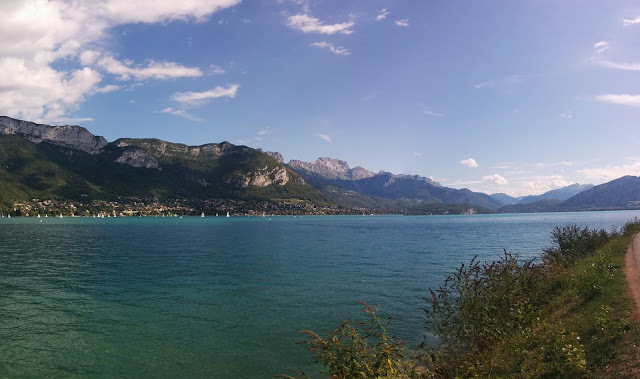 Not a bad way to spend a few days eh? Get out there and let me know where you've been recently so I can add it to my list of places to visit. *They being me in this case, you may well get said funny story another time. 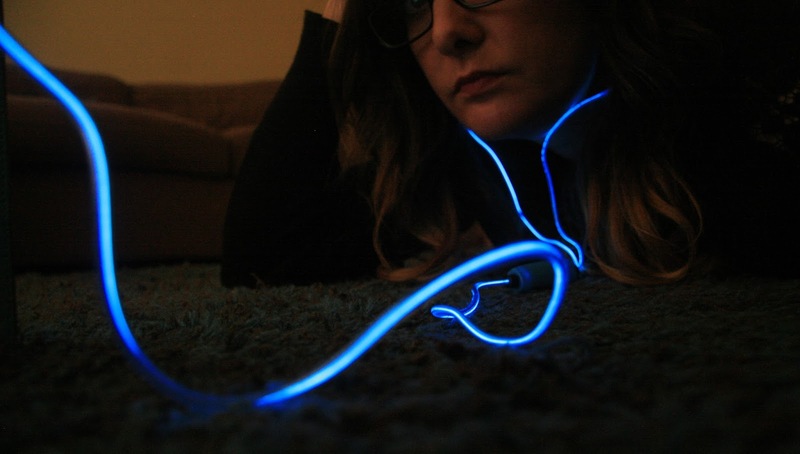 Ever a fan of shiny, sparkly things, I'll admit to being a little giddy when I was approached to review Neoglow Earphones available at Genie Gadgets. These nifty little blighters pulse a bright blue light along with your song choice. Or as the pros say "utilise sound reactive technology to illuminate in time with your treasured tracks"... so like I said. 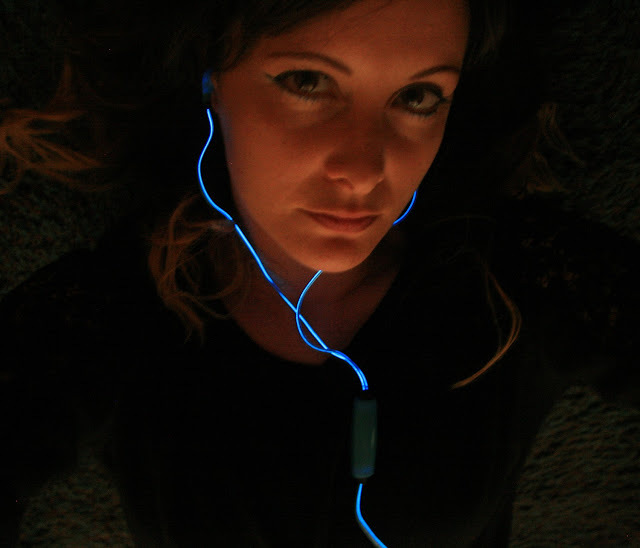 They go on "With a micro USB cable and built-in microphone included, the Neoglow earphones come with everything you need to use them straight away with your smartphone or MP3/4 player". Well almost. They come with everything you need except for a plug! This means you have to use a laptop or find an existing plug at home to connect to the lead as they do need charging when you first get them. An effective cost cutting exercise I'm sure, it does seem a little cheap though. That said if you're anything like me you'll get a little kick out of seeing the colours dancing around and these earphones will most likely make a great stocking filler*. The neon blue is bright and with the nights drawing in will look incredible when you are on the way to see some fireworks or just wandering around outside past 4pm come December. They sound great as well and while I'm not a headphone connoisseur I'd say the quality is no better or worse than my current 'fruity named' earphone's. At £18.95 they're fairly expensive though not out of the league pricey, if you want a more affordable alternative there are standard glow in the dark headphones also available at Genie Gadget for only £5.45. One basic issue I had was that they kept falling out of my ears. It may be my weird shaped lug holes but this is a bit of a pet peeve of mine (you have one job!). Oddly I found a way to make it work by removing the plastic comforters they come with, so unless they are there to protect us all from going deaf I'm taking them out. I've asked if it's a safety thang and am awaiting a response which I'll update here as and when it arrives**. It does seem that blue is the only colour available. Again I've asked and will let you know if any other colours are on the way. I know, I'm ever unsatisfied but as the whole purpose seems to be a fun way to show your individuality it would be great to see them in different hues so you could choose the colour according to your frame of mind. Oooh now that's an idea, mood colours! So if you're really fed up and stressed out they could glow red as a warning for people not to approach you. Or if you're all loved up a pretty neon pink. Think of the annoying situations that would avoid. So basically I want earphones that save the world from confrontation. What do you think, would you invest in these? *Oh God did I just make a reference to Christmas! ** Please note I am not recommending you do this it's just what I did wah wah wah disclaimer.